Convert Word and HTML to PDF. A high-performance and feature-rich .NET Core PDF framework to work with PDF files. This framework has PDF creation & editing library which allows you to create, read and edit PDF files programmatically in any .NET Core applications. 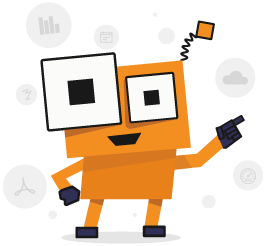 Its powerful conversion APIs make it easy to convert HTML, Word, images to PDF. Create, read, fill, and flatten PDF form fields in AcroForms. Add text, images, graphics or shapes, annotation, bookmarks, attachments, and stamp to make an update to the PDF. For more information, please check our .NET Core PDF library features. Converts a Word document to PDF for printing and viewing in a portable format. Supports various customization options like embedding fonts, export bookmarks, and more. Support converting many image formats such as JPEG, PNG and SVG to PDF.